It happens in an instant. Maybe your kids are arguing in the back seat or it’s pouring rain. You lose control or focus while driving — and another car comes out of nowhere. Ever wish your car could react for you? Maybe it can. The auto industry is blooming with futuristic new ways to prevent collisions, check blind spots and change lanes automatically. The Mercedes-Benz E550 even senses when you’re driving drowsy and alerts you with a coffee cup icon. Welcome to the future. In newer cars, these safety features — called advanced driver assistance systems, or ADAS — are often included in the base model. They may also be offered in packages, such as “premium” or “technology,” or as single installations. If they’re not included, upgrading can cost thousands. Squeezing into tight spots with other cars zooming past you, while carefully avoiding bumping fenders, can fry anyone’s nerves. Auto-park drivers need only pull up to the car in front of the open spot, and their cars use cameras and radar to park themselves. Drivers may still need to switch into reverse and drive, and regulate the brake pedal — but the hard part of twisting into the spot is taken care of. Automakers have different versions, also known as Park Assistant or Active Parking. Toyota’s Prius can have Intelligent Parking Assist, and the Lexus LS has self-parking that both parallel and angle parks. Today’s cruise control doesn’t just keep you at a certain speed — it also uses radar to detect traffic patterns and slows and speeds up accordingly. A driver still sets speed parameters as with normal cruise control but also selects how much distance to leave from the car in front. Adaptive cruise control is also usually blended with collision warning or automatic braking features. This feature is ideal for stop-and-go traffic, long trips and jam-packed commutes. But it’s typically one of the priciest ADAS and can cost over $1,000 on its own. Collision avoidance refers to a car’s ability to detect an impending collision with another vehicle or large object, and slow or stop before it happens. The system can be for highway speeds, but some operate only at lower speeds. Rear-end collisions are extremely common, so 20 auto manufacturers committed to standardizing automatic braking on all new vehicles by September 2022. 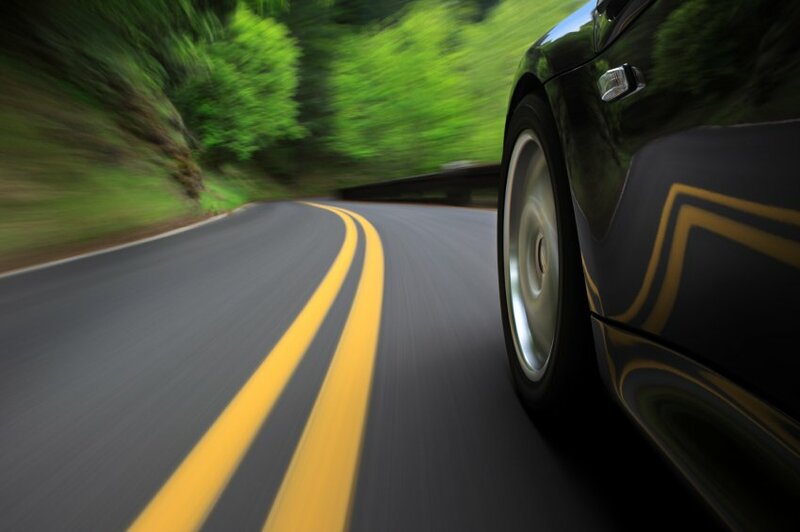 Lane monitoring uses road markings to detect if you’re drifting without a turn signal and will alert you with a sound, flashing light or vibration. More advanced systems intervene with corrective steering or braking. The feature favors highways, as it can have trouble reading country or suburban roads. Several cars have more complex systems. For example, the Infiniti Q50S has hands-free lane keeping and slows and stops as cars in front of it do. Blind-spot monitoring is a favorite ADAS feature these days, with many shoppers making it a deal-breaking inclusion. This feature senses cars in your blind spot and warns you with an audible or visual alert — often a ring of light around your sideview mirror. Some go further: showing camera footage of what’s in your blind spot. This is particularly helpful in SUVs and pickup trucks with difficult blind spots. Few features offer such peace of mind as the backup camera. It’s the horrible truth that 50 children under age 15 are hurt or killed from back-over collisions every week in the U.S. However, backup cameras are becoming more standardized. Also called rearview cameras, they provide live footage of what’s behind your car, viewable from a screen on your dashboard. As of their 2015 models, Acura, Buick, Honda and Infiniti equipped all vehicles with them, and other automakers are following. Federal rules will require backup cameras on all new vehicles starting in 2018. Long trips, bumper-to-bumper traffic and late nights can cause anyone to drift off — but the mistake can be disastrous. At least 846 people died in 2014 in accidents related to driving tired, according to the National Highway Traffic Safety Administration. Automakers are combating this with sensors that detect erratic driving likely caused by tiredness, such as drifting across the road or sudden deceleration. Volvo calls its Driver Alert Control and warns drivers with an acoustic warning signal and visual alert. Volkswagen’s Fatigue Detection features do the same. These features can add important safety checks to your driving, but there’s no denying cost is still an obstacle. It will take time for ADAS to become standard, and adding premium packages can cost thousands. On the other hand, some car safety features can save you money on insurance. For focused drivers on a tight budget, they may be less of a necessity. If you’re considering a newer model anyway and have distractions while driving (kids in the back seat, phone calls, frequent city driving), they can be a life-changing option.